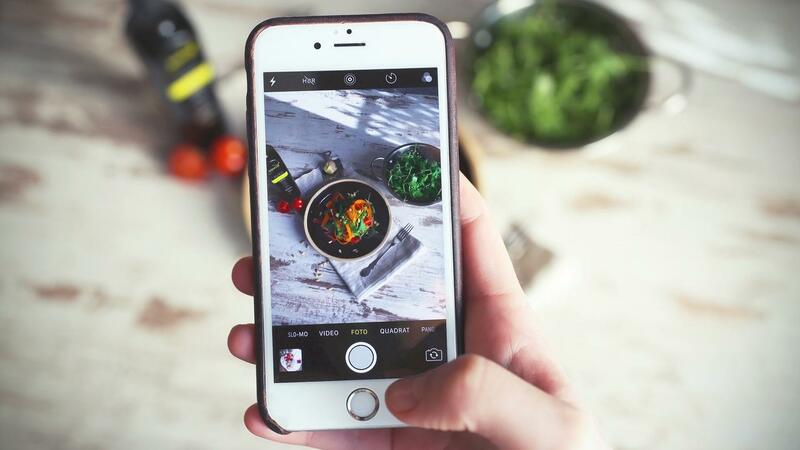 If you are what you eat, what does your digital diet say about you? I’ve been mindful about what I feed my body for many years, knowing how important it is. And yet, until a year and a half ago, I had never really stopped to consider what I feed my mind. But since then I have done a lot of research about the physical and mental impact of technology. This caused me to consider the potential consequences of my digital diet and I began to realize it wasn’t as healthy as it should be. That’s when I decided to apply the same philosophy I have about my food consumption to my digital consumption. These four questions helped me determine where I could make better choices. 1) When are you online? Everyone knows we shouldn’t eat food constantly. And we know that eating right before going to bed and throughout the night is not good. It’s much the same with digital consumption. Being online before you go to sleep and going online during the night is very disruptive to your sleep. Although there are many instances when eating while doing something else isn’t dangerous (ex. while walking), there are definitely times when being online while doing something else is not safe. For example, using a digital device while walking or, even worse, while driving. The problem is that we think we can multitask but we really can’t. Instead we split our attention, which can lead to serious consequences in situations where our full attention is needed. 2) How much do you consume online? Some people believe in “three square meals a day.” Others eat smaller portions five times a day. But we all know that consuming large amounts of food many times, day and night, is not healthy. The same applies to our digital consumption. If we aren’t mindful about the time we spend online, hours can easily pass by. Many people underestimate how much time they spend on their devices by half. Can you imagine if you ate twice as much food as you thought and weren’t aware of it? 3) What do you consume online that’s beneficial? Just like vegetables and whole grains, there are parts of our digital diet that can have a positive impact on us. For example, apps that teach us a new language can help our brains. Apps that track and evaluate our fitness activities can help improve our physical health. And apps that help us meditate can significantly improve our mental wellbeing. These types of digital tools perform a function that helps us achieve something good. 4) What do you consume online that can be harmful? Much like sugar and unhealthy fats, there is online content that can be detrimental to our health, especially if consumed excessively. For example, social media and online games are fine in moderation. However, if they make up a significant portion of your digital consumption, research has shown they negatively impact our mental wellbeing. It’s important to be mindful when consuming this type of content because it’s designed to attract our attention and hold it for a long time. People in general are eating healthier than ever before. Most of us are quite careful and thoughtful about the food we consume. We know that what we eat affects our body and physical health and we have figured out what works best for us. Now it’s time to give our brains and mental health the same consideration and respect. How much thought have you given to your digital diet?